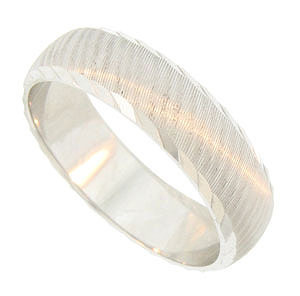 Fashioned of 14K white gold, this handsome wedding band is engraved with finely etched vertical lines. 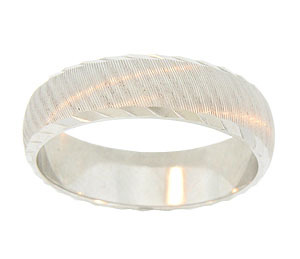 The edges of this antique style wedding ring are decorated with a curving jewel cut design. The mens wedding ring measures 6.33 mm in width. Size 10 1/4. We cannot re-size.